Avery's legacy of kindness will live on forever. My Condolences to you & your family. I'm sorry that I can't make the service, but I will keep your family in my thoughts & prayer. Such a strong girl..... So sad. Our thoughts are with her and her family. She will be missed by so many. She touched our hearts. 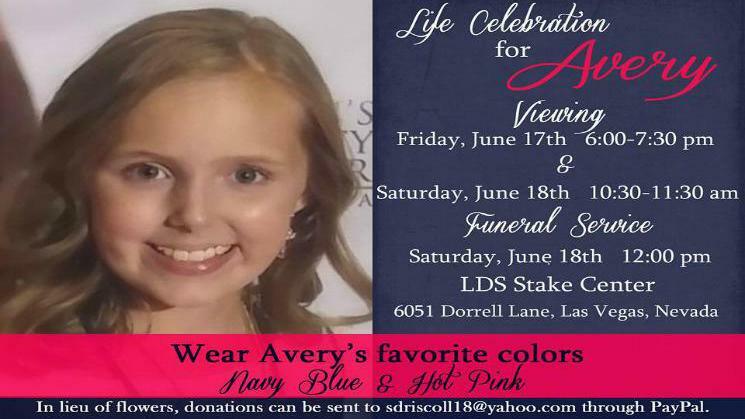 God bless you Avery and your family. We're all praying for you to stay strong and heal fast. ~~~~Happy Birthday Avery!~~~ We Love you and are sending good thoughts and prayers your way!!!! Sending all thoughts your way Avery! Oh man...spring break is over and my hubby and other kido go back to Vegas today. Sad...it's been a great week being together. Heartbreaking to see Avery struggle to keep up with them. With it also being Easter weekend it was a great reminder of God's love and sacrifice. We all need the atonement. No one is exempt. Every day we witness miracles. New friends bring wonderful food. People we've never met send messages, cards and prayers. We are constantly being uplifted. There are hard moments. Every day all day. If I stay focused on that I would be swallowed up. So we don't. We laugh. We enjoy. We live. Oh...for Avery's birthday...I know lots of you have pics of her...please post them! Her short term memory is bad..but her long term is great. She remembers lots of friends and family. So post away!!! And it's great for our new friends here to see her younger years. This just in! George Eads from CSI Las Vegas sending good vibes out to Sweet Avery! Today marks the beginning of Avery's treatment at St. Judes in Memphis! Going in for surgery this morning to have a port put in - Stay strong Avery! You are always in our prayers. Justin Timberlake - 53 million followers on Twitter! And he takes time to give some love to little Avery! UPDATE: June 13, 2016 Avery Margaret Driscoll passed away at 7:17 am this morning. She was peaceful and calm. March 2016: This is Chapter Two in the Book of Fabulous Team Avery. 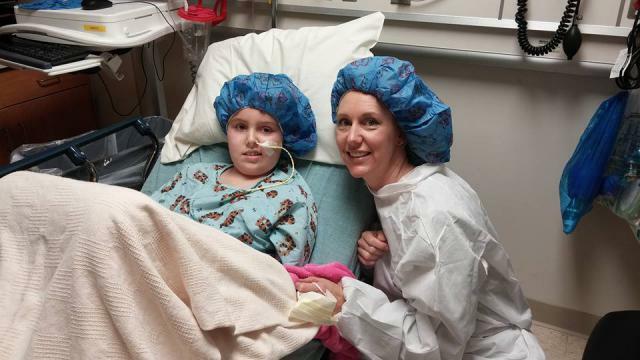 We've already raised over $8,400 for Fabulous Team Avery while she was in Seattle Children's Hospital receiving treatment and surgeries for her brain tumor. Avery is headed to Memphis to begin a 4-5 week clinical trial! It is a blessing that this trial exists and that she got accepted in so quickly. Once the trial begins, they will be in Memphis for 4-5 weeks undergoing treatment....and will then need to travel back to Memphis every 2 months for a few years. Avery and her parents will fly out next week so she can begin treatment immediately. After spending months in Seattle Children's Hospital, away from her Las Vegas home...they now have an opportunity to now attempt this potential lifesaving treatment. Our goal is to remove any financial burden off the Driscoll family and keep them together during this difficult time--so that they can focus on Avery. They are looking at costs of flying back and forth, medical expenses and co-pays, medicine costs, out-patient housing, meals, transportation, medical supplies to make Avery comfortable while they're in TN. We're setting a new goal to raise $50,000 for Avery and her family for this lifesaving Memphis journey. Please join us in supporting this campaign and sharing it with everyone.